Are you a business owner that doesn’t do much advertising? Maybe you rely on a ‘word of mouth’ method? If so, be sure and leverage the raw power of customer reviews. Do it not only to demonstrate a local presence in a way that mimics good old ‘word of mouth’, but because search engines like Google will reward it! For example, what could be better for business than a prospective client seeing others singing your praise out in the open? 80% of consumers say they research a business, product or brand online before purchasing. 90% say online reviews influence their buying decisions. So go to Google.com and type in the name of your business plus town & state. It’s likely results will include your ‘Google Listing’ on the right sidebar, including if you haven’t created one. If not already, you can get control of it by verifying your Google Listing. 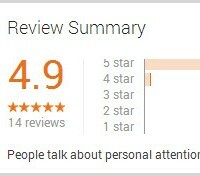 And by the way, ‘Google Listing’ reviews play a significant role in local search engine rankings (i.e. website content ranks better when reviews reinforce the brand). Folks, if you’re not set up to ask for good client reviews you are missing a huge opportunity! Online reviews are deemed so powerful and necessary for any business (small or large) that the act of writing or having fake reviews written for a company resulted in legal action. In fact, it culminated in multiple companies paying hundreds of thousands of dollars in fines. How Can Your Business Get More Good Reviews? 1) Create an email template to send to a satisfied client after they leave your business. The template should thank them for their patronage and ask them to leave an online review. 2) Make it easy for them. 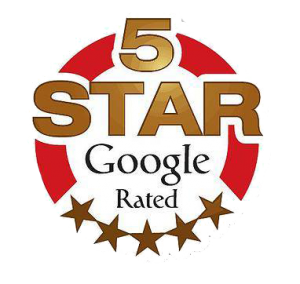 Set up a reviews page, from it provide a direct link to your Google+ local account where they can easily leave the review. Don’t expect people to fish around online trying to find it. If you don’t know how to find it, ask us. 3) Develop a way to follow up with customers to see if they leave a review or send a gentle reminder to do so. Consider creating a spreadsheet to help you track this. Again, if you need help do not hesitate to ask. 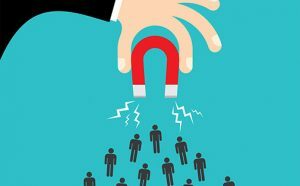 4) Set a goal for yourself to obtain a certain amount of reviews each month. You can track this in the spreadsheet. 5) And don’t forget, there are a series of other Local SEO factors that (combined with good Reviews) can really make things explode for your business! Online reviews musts become a component of your local SEO strategy along with locally targeted content development, social media management, consistent off- website listing citations and more. If you need help with a plan give us a call at 732-722-5915.